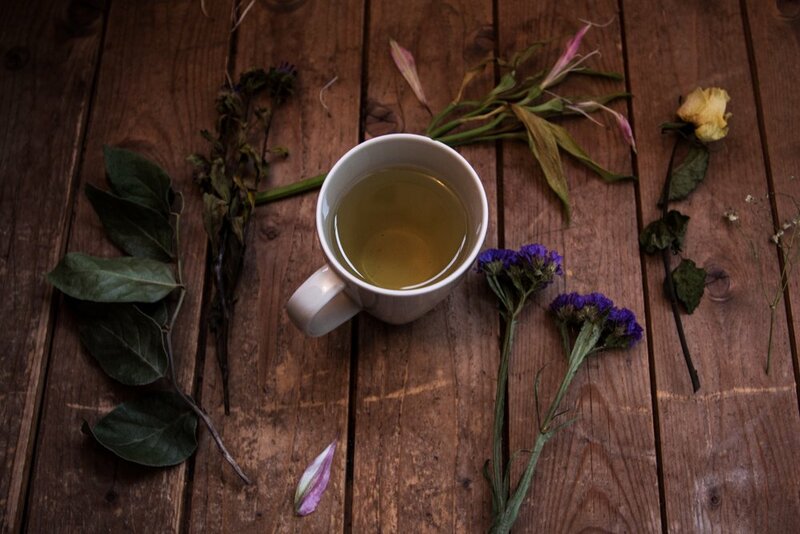 5 Minute Read: Women in business, herbal medicine, bone broth, adoption, non-linear life plan, magic. 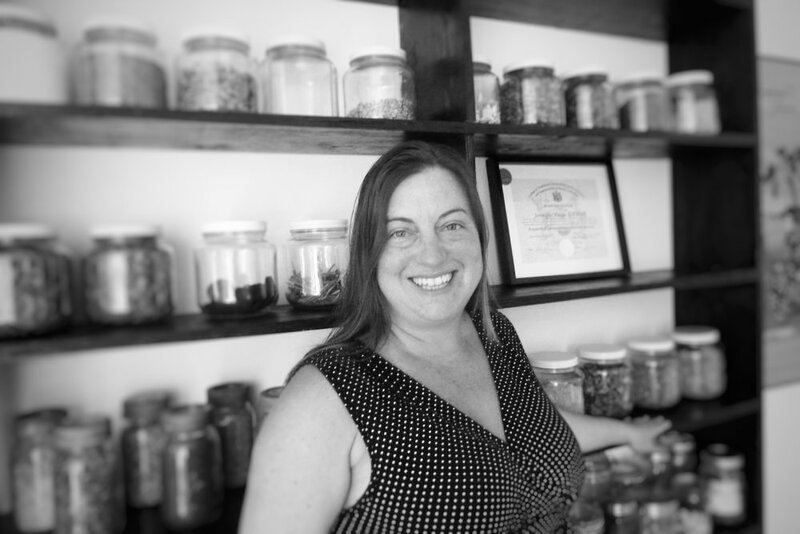 Jen Gawne, R.TCM.H, is a Chinese Medicine herbalist and cook, as well as the creative mind behind Wild Peach Preserves – a food company producing small batches of medicinal bone broth, herb-filled preserves, jams and noodles. I first met Jen while studying Chinese Medicine, when she was working at the college as a stellar administrator, head of the herbal dispensary and instructor. Although trained in the art of acupuncture, she prefers to work with her hands by massaging away body aches, pounding herbs into medicine, or mashing fruit for jam. All of this makes for strong hands and an open heart! Through the years, I’ve cherished our continued, heart-sourced connection, and I’m delighted to interview Jen in this space. Below, she talks about Chinese herbal medicine, bone broth, adoption, and the magic of a non-linear life plan. Enjoy! Wild Peach Preserves offers handmade medicine in the form of nourishing food and herbal combinations. I also have a lovely little treatment space in the woods and offer bodywork sessions. A favourite kitchen to work in is Kootenay Kids, a private nonprofit that supplies healthy food and literacy programs to children. Could you talk about your vision, mission or "why"? For many years, I worked in a Chinese Herbal dispensary where all I heard from customers was how terrible tasting the herbs were. As a lifelong foodie, I thought it a shame that people’s experience with this healing cuisine was limited to bitter tasting teas. I gravitated towards the Yang Sheng Fa, or “Life Cultivation,” theories and food therapy aspects of Chinese Medicine and was determined to offer medicine and healing cuisine in a more tasty and nourishing way. I am also a food fad and pop culture geek and was observing the paleo and keto diet and bone broth food trend. I could really get behind a good hot stock pot full of broth and herbs. Oldest medicine going! When we first talked about my being part of your blog, I was unsure what I could add but decided the perspective I'd like to share is the magic of a non-linear life plan...the mystery, the chaos and, I'd argue, the beauty, of life unfolding – the messy stuff, mistakes and disappointments leading to the best parts. I always need to make a PLAN but am getting better at letting go of controlling the little bits and trying to enjoy the ride. The best things in my life have come through disappointment, disaster, and total alteration of The Plan. For example, for over a decade I had a great job in my field of Chinese Medicine in a town where finding work is notoriously difficult. All went well until the business sold and my work environment began to change and became really unenjoyable. I had thought I was set and I’d work there forever. I had one plan and then the plan changed; I had to leave. I leapt and used that change as a chance to move towards my passion of food and handmade medicine. Now I enjoy a “Kootenay mix” of work, rather than chasing one big professional goal. This has brought peace and freedom. You're also a mom! How does that weave into your story? My husband and I tried for a decade to have children. Oh, it was frustrating…with everyone getting pregnant around us. We experienced several miscarriages and lots of dark days. Somehow, we stayed confident in the goal of starting a family but decided to focus on a “work around.” We applied to adopt a newborn baby through a private adoption agency. Then we waited. For years. Kind of gave up. Then it happened! Our adoption story is another example of how great pain and frustration opened the door to the best experience. If I hadn’t experienced infertility and miscarriages then we wouldn’t have adopted and we wouldn’t have T in our life. He is my heart and was absolutely meant to be my friend. What is sucess to you? Success to me is living life by my terms, being able to act with integrity and make positive decisions, and look back on a day or year or decade and think, “Yes, that was good.” I believe creativity and a positive attitude leads to resilience and confidence and that only a “top of the mountain view” of our lives can show true successes. Each day might look a bit different, but every day I need a balance of work and rest, time with family, and a nap! I love to accomplish something in the morning: a blog post, an order filled, or a batch of broth put on. I love to do food prep for dinner in the morning if time allows. Then I have to move my body and keep getting stuff done. I love resting for a bit in the late afternoon once everyone is home for the day. What advice would you offer women in business or others pursuing heart-felt passions? Don’t stop! If you have a passion or an idea, a tingle of what direction you want to go, just get started and then do a little bit each day as you move towards your goal. It might not seem like you got much accomplished in a certain period of time, but once you look back all your work will aggregate into your dream. What are your top 3 Chinese Medicine tips for spring? Increase green foods, especially sprouts and bitter greens. Let your hair down, air out that toque head, and go for a walk! What's in your mug or cup these days? Mushroom Tonic Broth! This winter I researched a vegan broth option for my bone broth company and landed upon a rich mushroom broth with chaga, shitake and reishi mushrooms, plus all the savouries and Chinese herbs that are always in our broth. Deep and rich and salty. Yum. My broth is available locally at the Kootenay Co-Op, and my jam is at the Ymir Bakery. You can also visit my website, find me on Facebook, and email me. I’d love hearing from you! Thanks so much, Jen! I love your bone broth + your message!